From Samsung’s Gear VR to Google’s Expeditions, the race is on to bring virtual reality to the classroom. We're still in the pioneer days of virtual reality (VR) in the classroom, but both Google Cardboard's bare-bones headset and Samsung's slick Gear VR headset made a solid impression on attendees at ISTE 2015. Companies including Samsung, Google and Oculus have made big investments in the technology over the past year, and they're taking the devices on worldwide tours, which made this year the biggest ever for VR at ISTE. Though we’re still years away from VR devices becoming mainstream, passionate early adopters are already talking about bringing the devices into classrooms. One of the highlights of the opening keynote session on Sunday at ISTE 2015 was journalist Soledad O'Brien showing off how virtual reality can immerse students in careers they never knew existed. O'Brien brought onstage 10 audience members who wore Google Cardboard headsets — constructed from actual cardboard — each with a smartphone mounted in front, showing a stereoscopic scene that appears in 3D to users. They were watching surgery being done at a veterinary surgeon’s office. The demonstration was meant to show how students can virtually try out careers, thus expanding their possibilities for the future. While O'Brien's demonstration provided an overview of what VR is capable of in a classroom setting, but it's a concept that's still in the embryonic stage for integration with curriculum. The two VR devices most prominent at ISTE were Google Cardboard and Samsung's Gear VR. They are fundamentally the same in that both rely on a mounted smartphone to display stereoscopic 3D images and video to immerse the users in a virtual environment. By tapping into the gyroscopes in the smartphone , users to explore the virtual space around them naturally by turning their head. But the construction of these gadgets couldn't be any more different. 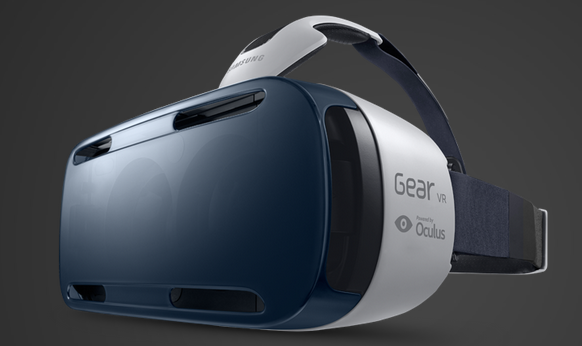 Samsung's Gear VR has big plans for K–12 classrooms. Samsung's Gear VR is a far more traditional headset, complete with an elastic band that fits snugly over the head and sturdy plastic casing. It features a touch-based interface on the right side of the device, near the user's right temple. The extra features and comfort factor explain why the device is more expensive than Cardboard — Gear VR costs about $200. The demo shown at ISTE allowed users to “swim” along a guided tour of a glacial underwater seascape as orcas, great white sharks and smaller fish swam in and out of the periphery. After he had witnessed the demo, EdTech asked Joe Catlin, technology systems site manager for Poudre School District in Fort Collins, Colo., what he thought about the future of the device in the classroom. Catlin added that he is already gauging interest in his district’s teachers getting devices like these. 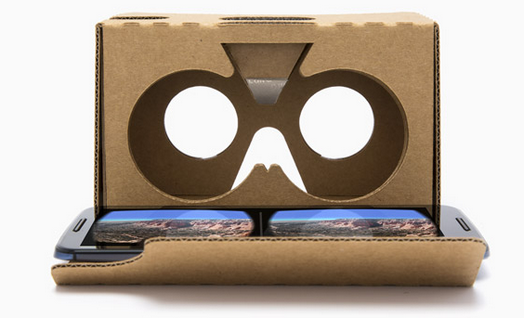 Google Cardboard powers the company's latest foray into education: Google Expeditions. Google’s take on VR is simpler and more affordable (the cardboard viewer costs about $15), making it easier than Gear VR to roll out to an entire classroom of students. Built from actual cardboard, the device's construction, is more akin to the 3D glasses of the 1960s. But Cardboard has been around for a few years, and it's merely the medium for the company’s VR foray into education — Google Expeditions..
Expeditions was announced in May at Google I/O 2015, the company's annual developer conference. The system uses the low-cost Google Cardboard headset along with technology pioneered by the Google Street View team to allow teachers to take their classes on virtual field trips to anyplace that’s been photographed with a 360-degree camera. Some of the locations shown off at ISTE this year were the Museum of Natural History, the Palace of Versailles, a coral reef and even the surface of Mars (made possible by stitching together panoramic photos taken by NASA’s Spirit Rover). Google product manager Ben Schrom told EdTech that Expeditions is about a social VR experience, instead of one where each user is confined to their own virtual world. A teacher controls the experience with a tablet, which is then broadcast to the students’ devices. Using the tablet, the teacher can direct students’ attention toward points of interest, which appear as waypoints on the students’ viewers. Expeditions is scheduled for a pilot rollout in the fall. Gear VR is currently available.